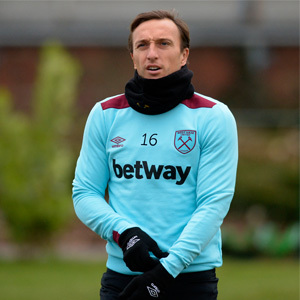 Mark Noble Football provides children with the opportunity to play football in a fun, safe, friendly & professional environment offering some incredible opportunities. Mark Noble Football Camps run during all School holiday half terms in Essex and we have some very special prizes on top of 3 days of football. Currently the West Ham United captain Mark has been with Club since his youth days, their longest serving player. He has played almost all his youth and first team football for West Ham apart from two short loan spells at Hull City & Ipswich Town. He has played for England at Under 16, 17, 18, 19 & Under 21’s so has some incredible experience to pass on. He is now keen to pass on his expertise from playing at the highest level to as many children as possible and create some fantastic opportunities along the way. Mark attends as many of the Camps as possible so when he is down you may want to test your penalty taking against him! He was ranked in the top five penalty takers in the top European leagues and was in the top 10 in the world based on the percentage of penalties successfully converted since 2009 so you will have to be on top form! Could you be the next Mark Noble?